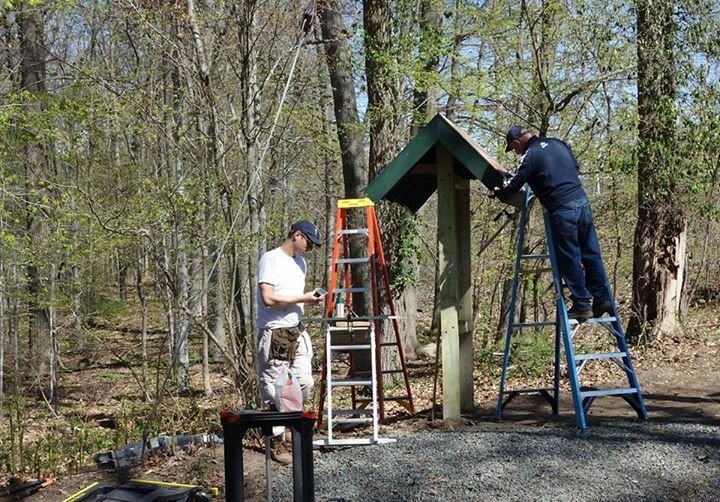 Summit Trails Project: It’s All About the Volunteers! assorted rakes, shovels and wheel barrows, this determined group tackled most of the “heavy lifting” of our project. Over the course of the morning and into the early afternoon they labored, digging out invasive bushes, hauling and installing hundred pound stepping stones, erecting a kiosk and installing a bench. By 1 p.m. work was winding down and most of the group had left. As I finished cleaning up and thanking the last of the volunteers, an incredible thing happened. A minivan pulled up to the gravel parking area and out stepped Brian Deutsch, one of the Summit JCC volunteers, together with his son Jacob aged 7 and daughter Ava who is 9. In the next ten minutes, Matt Cohen, another of the volunteers, arrived with his family to join the Deutsch’s. It turned out that Brian, who lived minutes from the trails but had never used them before, had rounded up his kids and their friends for an impromptu hike. Of course, he also showed off the impressive improvements he had just helped to create. As Brian explained, “I actually did not know that you could access those trails from Summit. Now that we have discovered these beautiful and serene trails so close to our home, we absolutely plan on using them. They are easy to get to. You can go out and do a twenty minute hike because they are so close, and bring the dog and the family. The trails are manageable for younger kids. It wasn’t too difficult or too steep. The kids loved running ahead of us and we had fun trying to teach them to skip rocks.” Sunday, April 19th was a resounding success for our project. 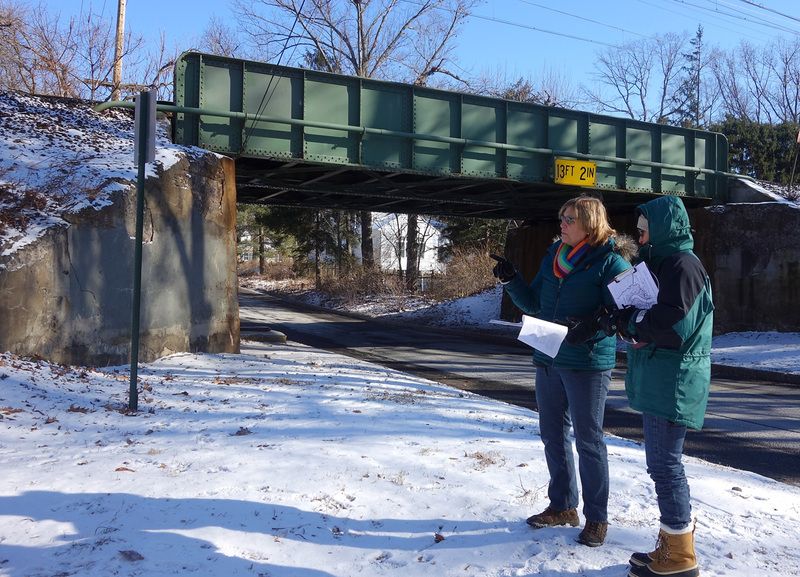 Meaningful work was done by a new set of residents who have become champions of Summit’s wonderful trails, dedicated to improving them and excited to use and share them too! We Partied at the Dump and Took a Hike! 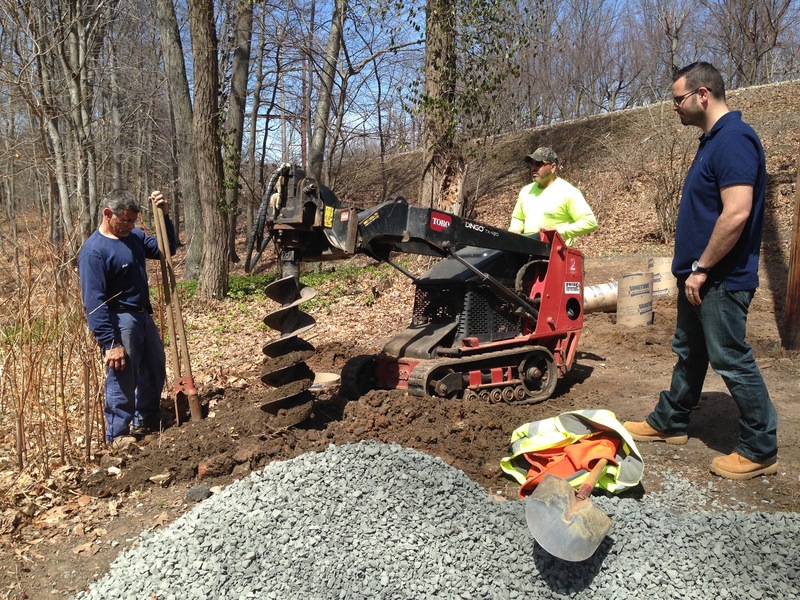 Work on the trailhead is ongoing, but the number of hikers is multiplying! 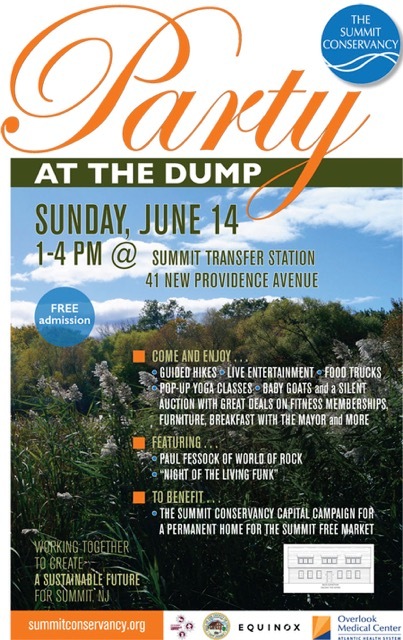 Guided hikes on the trail were a highlight of the lively “Party at the Dump” hosted by the City of Summit and The Summit Conservancy on Sunday, June 14th. 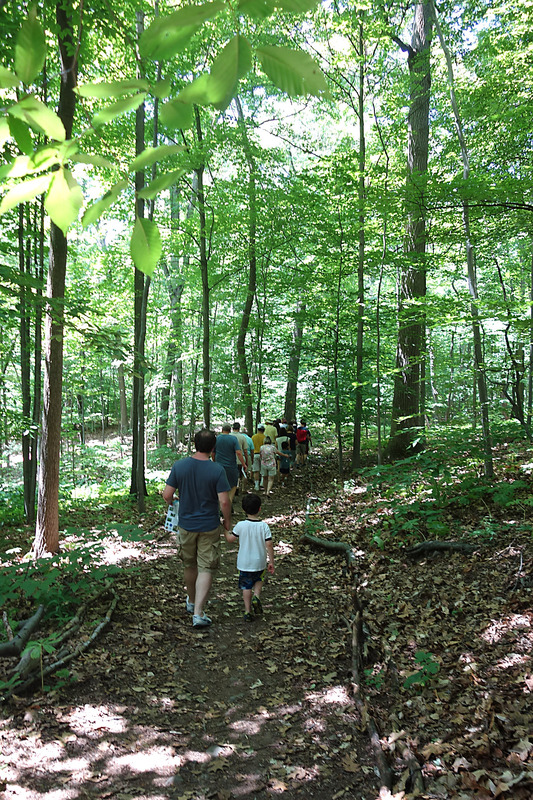 Jackie Kondel, Reeves-Reed Arboretum Director of Children’s Education, led three hikes at the event, exploring the trails with seventy hikers ranging in age from five to seventy-five. The groups identified duckweed, may apple and skunk cabbage as they listened for the distinctive “chickadee, dee, dee” of the tiny black-capped chickadee. 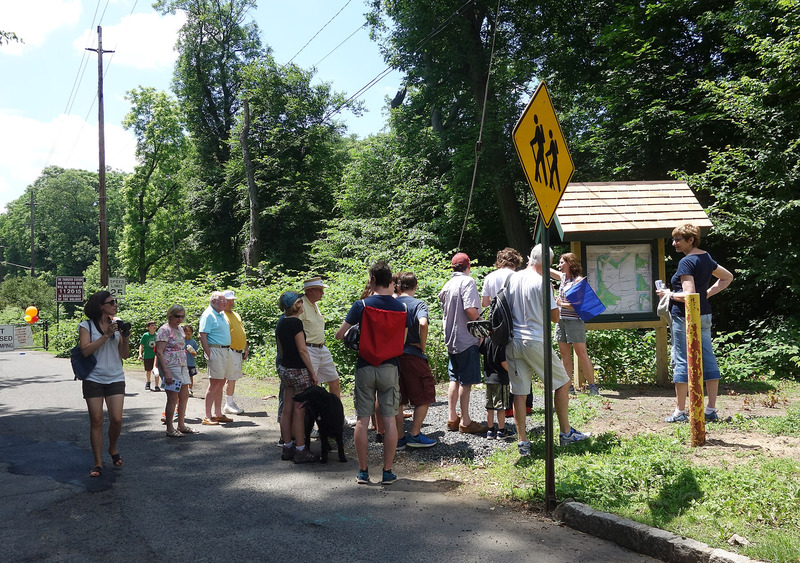 Participants appreciated the easy access the trail provides to a peaceful stretch of the Passaic River, hidden so close to well-traveled roads and NJ Transit railroad tracks. 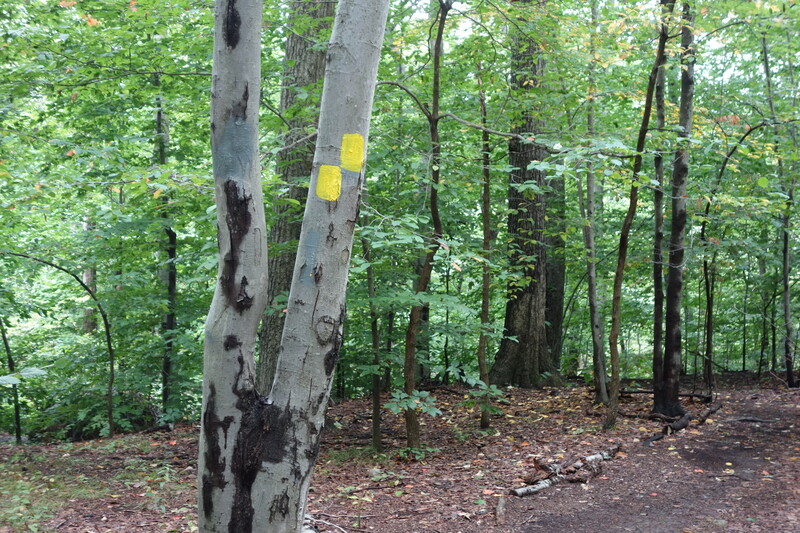 When our project began last August, the most requested improvement was a trail map. City of Summit Assistant Engineer Rick Matias executed this challenging assignment, designing, producing and installing an informative map in the fantastic new kiosk. The map is available online on the Environment page on the City of Summit website. mark the trail. 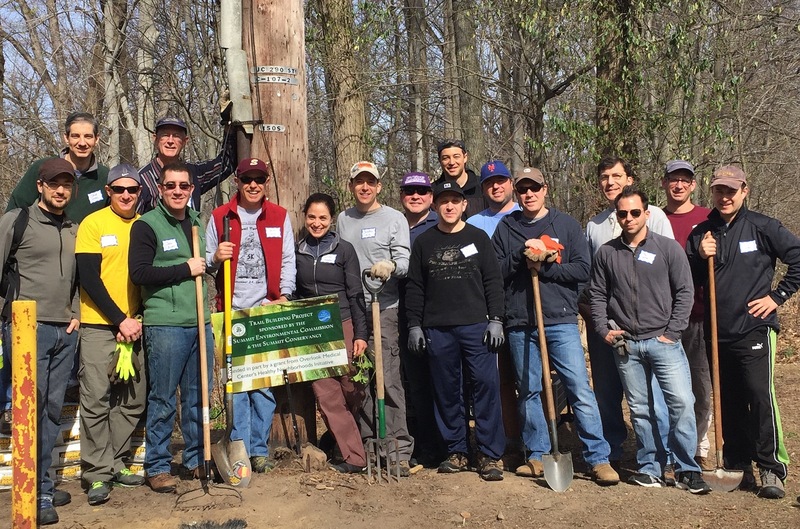 To date, a total of thirty-two individuals have volunteered their time and talents to the project, twenty-seven of whom were complete novices who had never worked or hiked on the trails before. 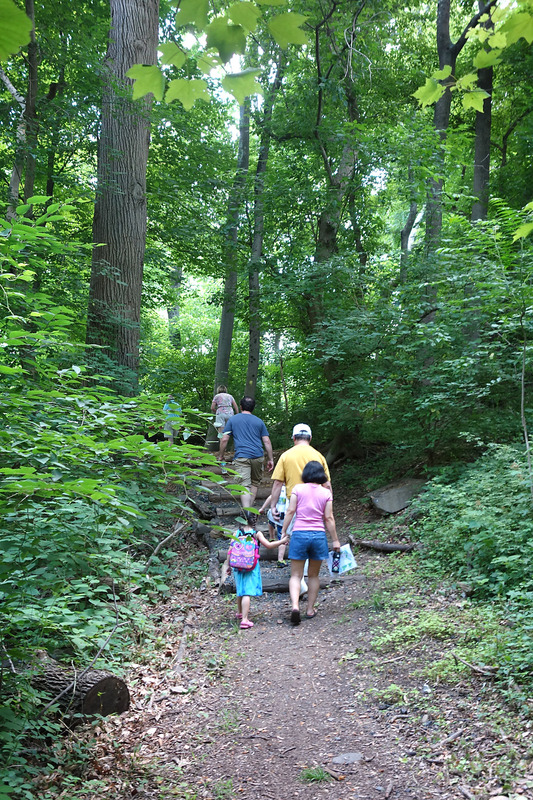 Our first-time trail workers became first-time hikers, excitedly sharing the trails with friends and family. 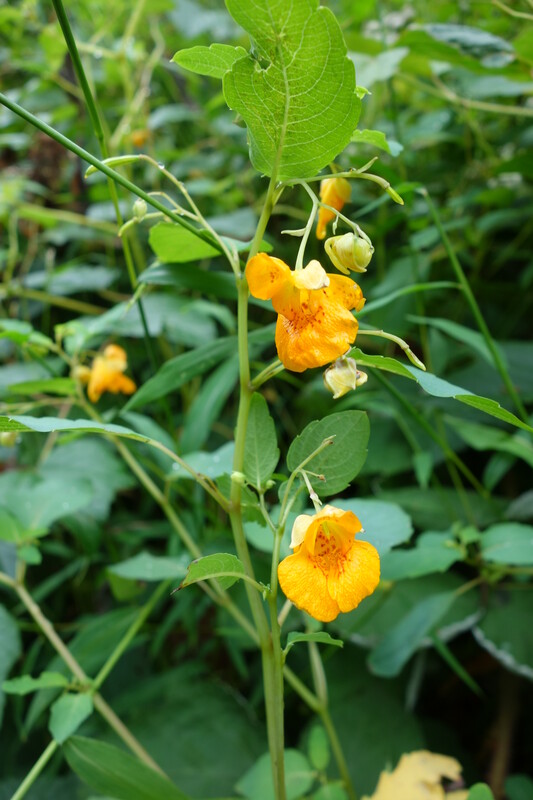 Since August of 2014, invasive plant species have been mightily battled by the volunteers. Even so, at least for now, the invasives seem to be winning. 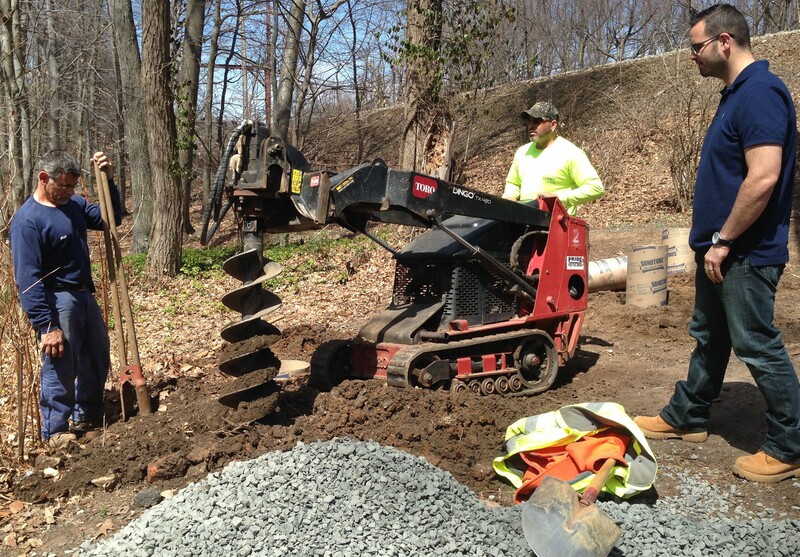 As a result, we’ve postponed our plant and tree installations at the trailhead until the fall of 2015, at the earliest. In a happier development, the next few weeks will see the installation of a bike rack courtesy of the City of Summit. 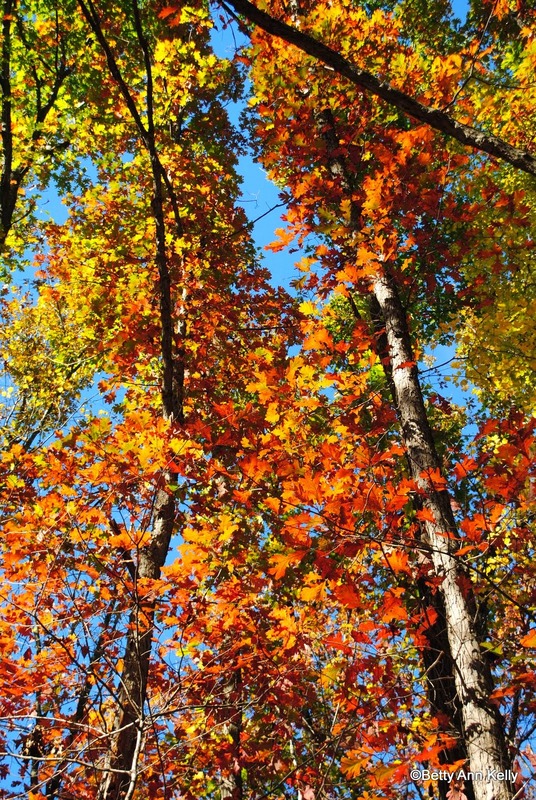 The trail is beautiful at this time of year. Come out and enjoy it! 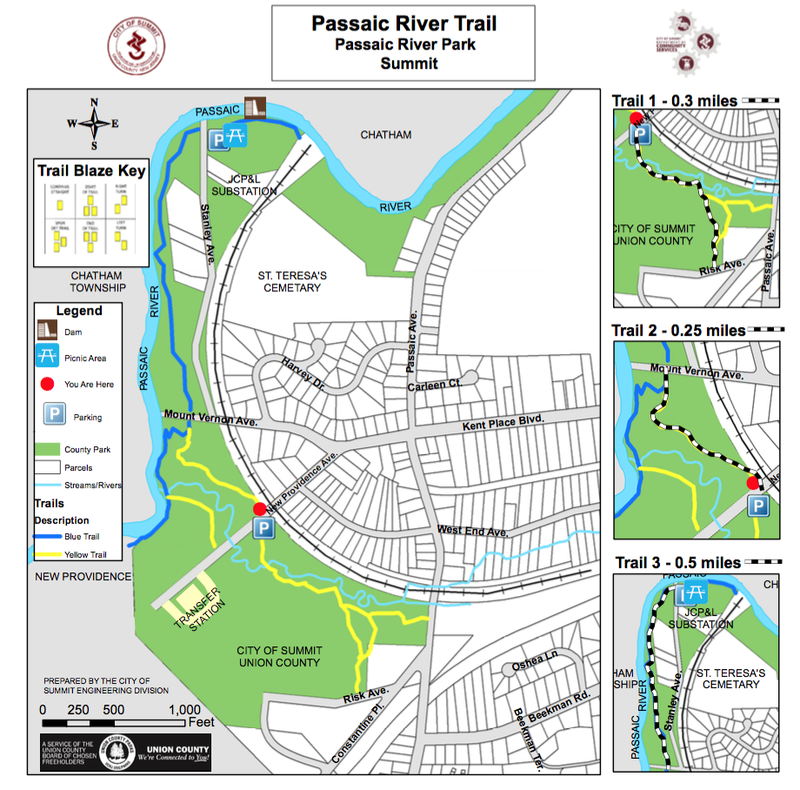 We were so excited last August to get a $10,000 grant to improve a neglected Passaic River Park trailhead in Summit, but our elation quickly dissolved into apprehension. While we had experience with parts of the project like communications, planning and publicity, construction was way beyond our expertise. Using power tools, digging deep holes in rocky soil, building kiosks and pouring cement were not in our repertoire. Lucky for us, where our knowledge foundered, Summit City staff and dedicated volunteers filled the breach. Superintendent of Public Works Paul Cascais and Director of Community Services Beth Kinney for City employees to help. Rick supervised while Foreman Rich Caputo and Senior Maintenance Worker Gus Reyes dug in challenging conditions with a mechanical auger. 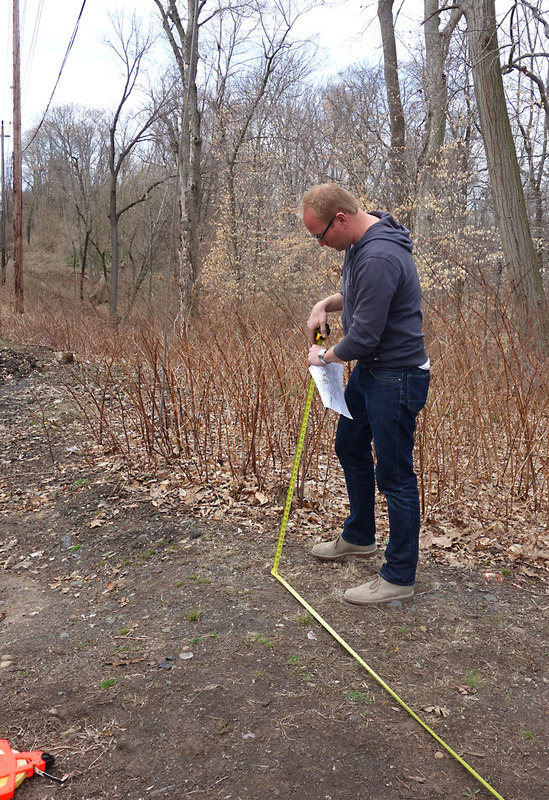 In the days before the holes were dug, Union County Environmental Specialist Betty Ann Kelly revisited the site when Cording Landscape Design Project Manager Dan Chomuk carefully marked the holes’ locations. Dan graciously returned early the following Sunday morning with a donation of 10 eighty pound bags of Quikrete for the kiosk installation. have Summit resident Dr. Jeff Hankinson step forward. 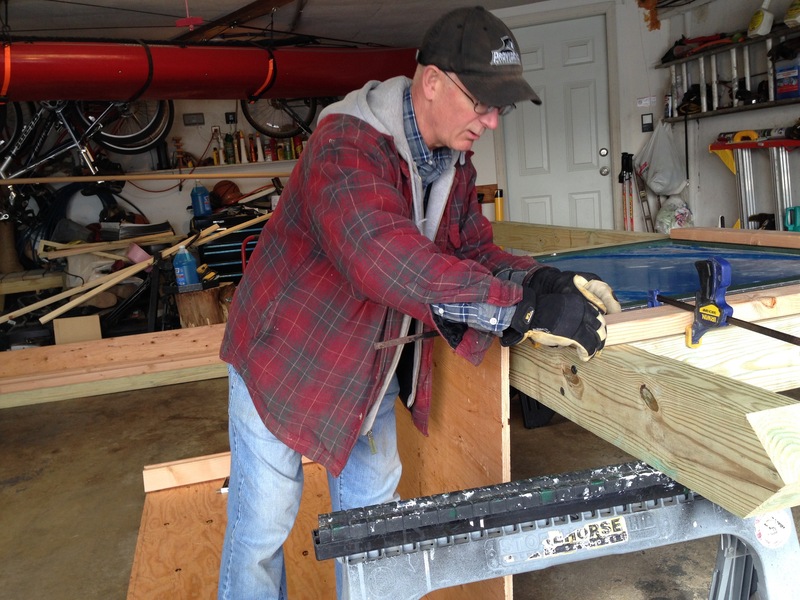 Dr. Hankinson built the fabulous kiosk in his garage and disassembled it for transport to the site. There, with help from the spirited Mens’ Club of the Summit Jewish Community Center, the kiosk was set and the Quikrete poured. 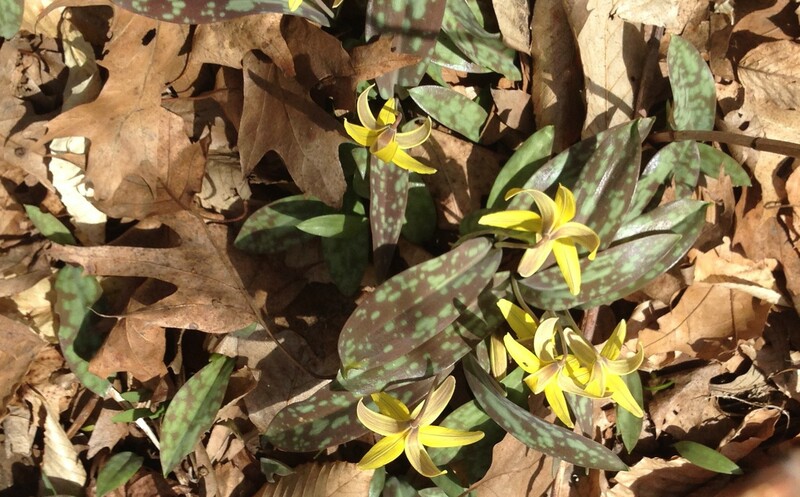 The flurry of activity at the trailhead and our blogging has created a buzz around the trails. Many other volunteers have stepped forward to help, including father and son team Jason and A.J. Bernstein, who are painting yellow blazes to mark the trail. Residents will appreciate these blazes on Sunday June 14, when the Summit Conservancy hosts guided hikes at its family-friendly Party at the Dump. While our project is still a work-in-process, we can’t wait to show off all we’ve accomplished! 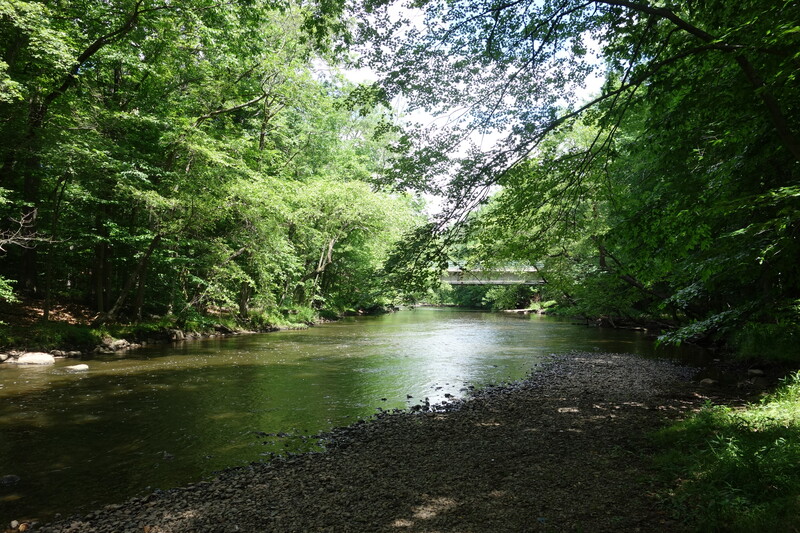 Last August, when the Summit Environmental Commission and The Summit Conservancy won a $10,000 grant from Overlook Medical Center’s Healthy Neighborhoods Initiative to improve the Passaic River trails, we knew that we had our work cut out for us. 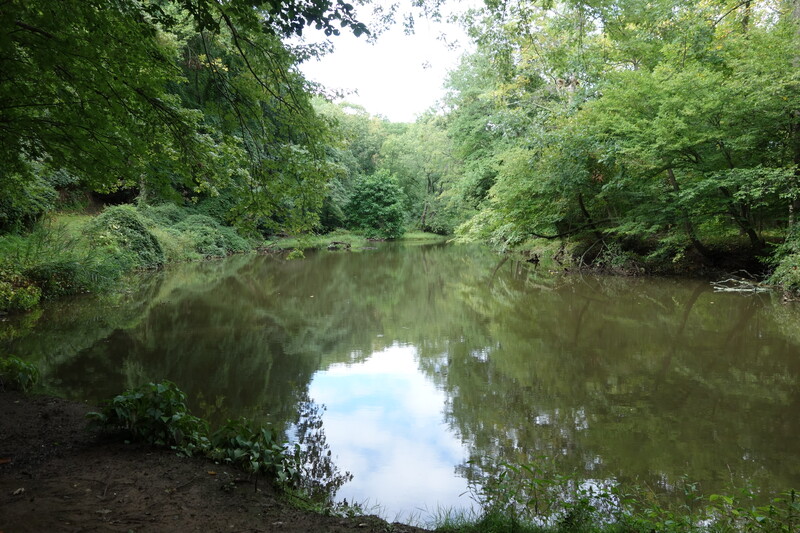 For one thing, these trails are owned by Union County, so they would have to be a key player in the project. 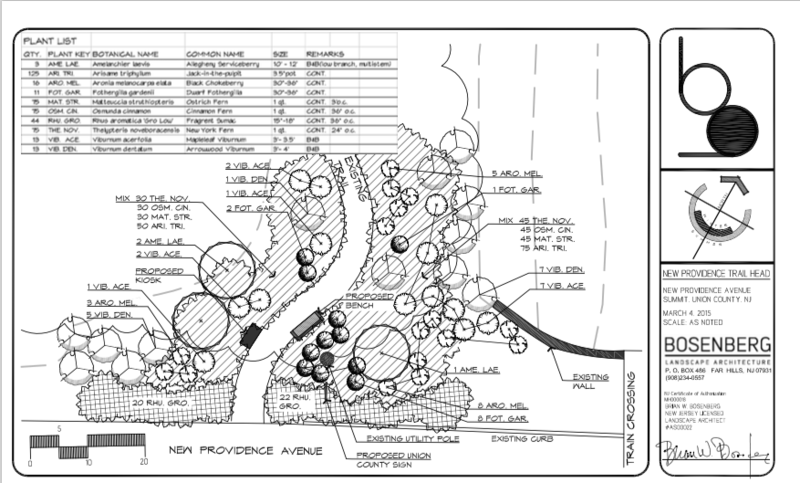 In addition, the scope of the proposal, including creating a plan for the trailhead, building and installing a kiosk and bench, planting native species, grading and blazing the trail, required expertise and manpower beyond our capabilities. Therefore, we recognized that our first step to realizing our ambitious proposal was crucial: we needed a meeting of key stakeholders, including experts who could help accomplish the plans. have ultimate decision making authority on our plans. Also in attendance were representatives from the City of Summit, Paul Cascais, Superintendent of Public Works, Aaron Schrager, City Engineer and Rick Matias, Assistant Engineer, who were crucial to facilitating our plans. Finally, volunteers Katrina VanDeusen, Senior Project Manager for environmental consulting and remediation firm EWMA, and Judy Mandelbaum, representing the Environmental Commission http://cityofsummit.org/Environmental-Commission and The Summit Conservancy http://summitconservancy.org/ , rounded out the group. After our initial meeting, we proceeded on three main paths. First, Beth Lovejoy, Environmental Commission chair, took on the role of publicizing the project and enlisting volunteers. Then knotweed removal began. 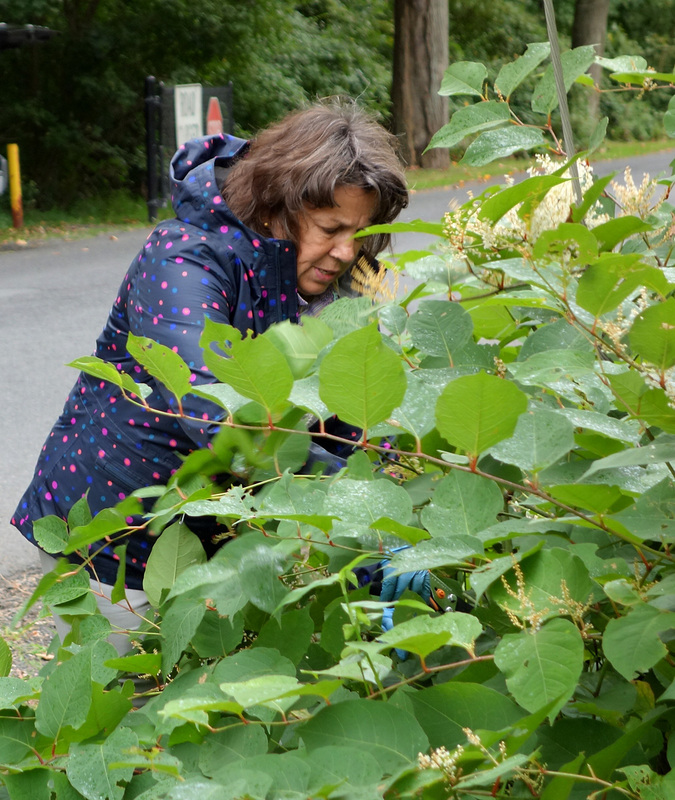 Betty Ann arranged a demonstration of the knotweed injection technique by local expert and retired chemist Larry Murrell, and work ensued to eradicate this destructive weed. Next, we reached out to professionals for advice on planning the trailhead installation. 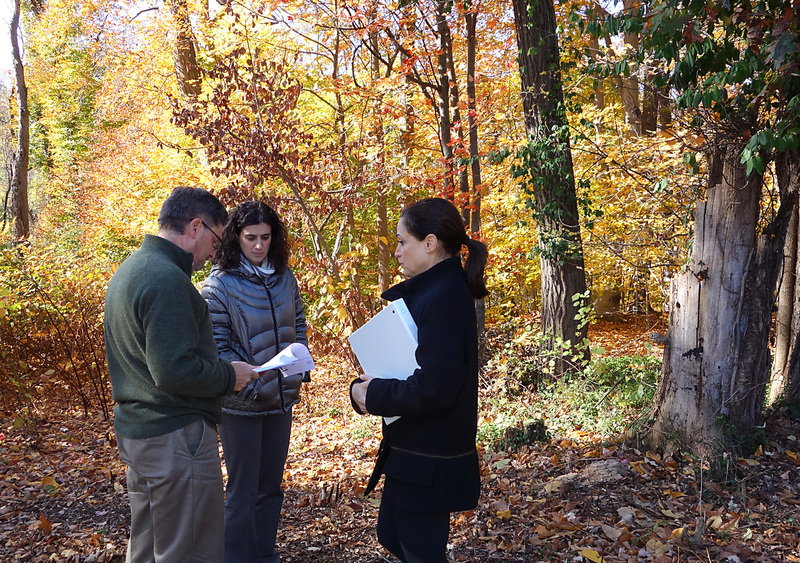 When we explained our project to esteemed landscape architects Meredith Carman and Brian Bosenberg of Bosenberg & Co., whose landscape architecture clients include Summit’s Reeves-Reed Arboretum, they quickly offered to help. With input from Betty Ann Kelly, Bosenberg & Co, developed and donated a wonderful plan. In the weeks and months ahead, we’ll be hard at work carrying out this ambitious plan and refocusing our efforts on the final stage of our project: raising awareness and usage of our lovely trails.